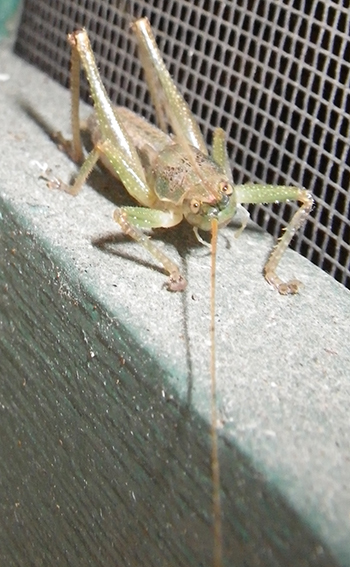 There was a grasshopper nymph on my (very dusty) front door the other day. 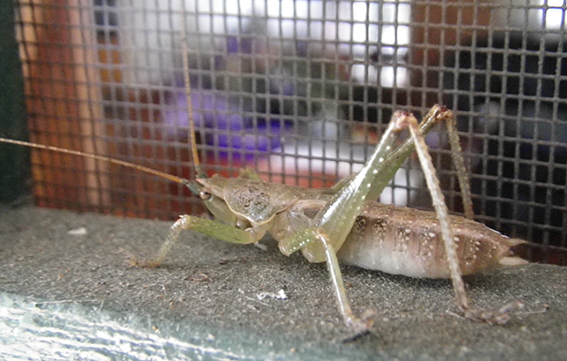 He wasn't very big, maybe 2 cm long. I took a few photos of him. Then yesterday I saw a larger grasshopper hiding in my backyard, and I wondered if it was the same one, now further along in life and growth stages - but he vanished before I could get a photo. Here's a webpage with the lifecycle of the grasshopper, (https://www.uwyo.edu/entomology/grasshoppers/ghlcycle.htm) if you're interested.